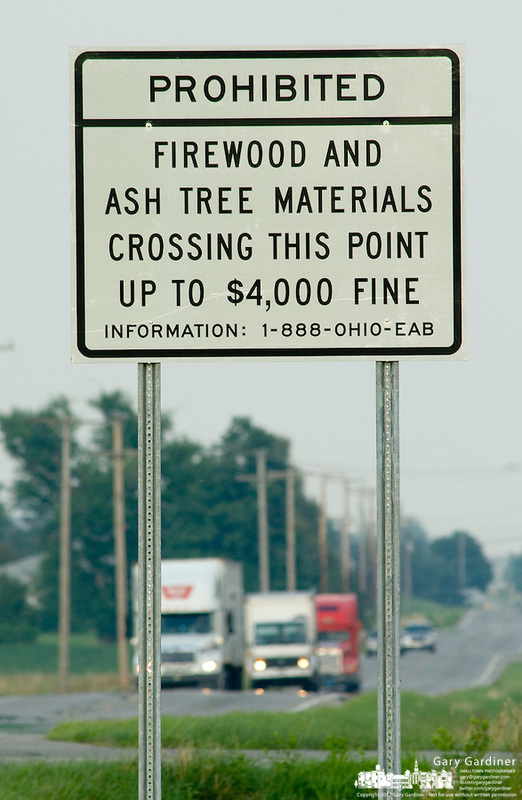 A sign marks the boundary and fines for removing Ash tree materials from a restricted area in northwest Ohio where the Ash Borer beetle infestation continues. The trees are being destroyed by the ash borer beetle, an invasive species of beetle thought to have brought into the country from China in wooden pallets used to carry imported goods. The beetle kills the trees by boring under the bark.